Have you just returned to working in the office following a sabbatical, or a long holiday? Have you been raising your children for the past few years and are looking to get back into the working environment? Whatever reason you may have for wanting to face the workplace again, preparing yourself mentally, physically, emotionally and psychologically is necessary in order to beat the stress and anxiety that surrounds being in a new environment. Hypnotherapy for returning to work confidence helps you to harness feelings of relaxation and calmness before stepping into the building, equips anyone with the chance to embrace a completely new life. Change is usually something that a lot of people dread and fear. If you find yourself biting your nails or spending sleepless nights just worrying about returning to work, then our hypnosis sessions for returning to work is just the right solution for you to adjust and adapt to a different aspect of your life. Not having a job tends to negatively affect the way you see yourself. Being at work gives you the opportunity to evaluate your proficiency and capability on a daily basis. An evaluation helps to enlighten you to your capabilities and can be undertaken by yourself or your superiors. Without full knowledge of what you are capable of, self-confidence can be lacking. Having a job rarely depends on the age of the individual. Qualifications and experience speak volumes in the work environment. There is a misconception amongst older people that younger workers have the edge on them and these are the workers that companies are seeking to hire. In today’s working world transferable skills are the name of the game. People can be unpredictable and it is common for people to take time off right when the team is in the middle of planning a crucial presentation. Having skills to cope with the unpredictability of daily life; tolerance, planning around events, personal organisation and communication will help to circumvent problems caused by the unreliability of people and will essentially help to get the job done. There may seem to be a huge gap between being a stay at home mum and working in an office environment although the two may not be too far apart from one another. A stay at home mum has the ability to negotiate and communicate effectively and these are skills that are used quite often in boardrooms and to clinch business deals. Discover your strong points and work on sharpening them with our return to work confidence hypnosis sessions. 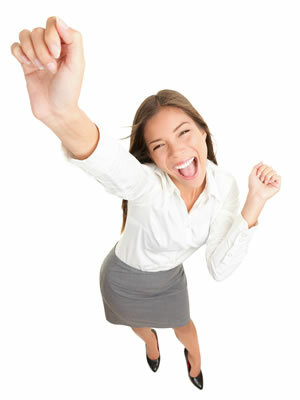 These hypnotherapy sessions help you to get back to the office confidently. Doubting your capabilities will be a thing of the past as you learn to appreciate your strong points. Feelings of anxiety or nausea are gradually replaced with those of anticipation and self-confidence. Want to return to work with confidence? And walk into your new job with a positive first impression!